The best part of any journey——the people you meet along the way. Join Zola & a growing On2In2™ community of fun-loving cohorts in conversation and collaboration via especially designed “Engage” social networking features that make it easy for you to connect, share an experience and know-how, and exchange ideas with like-minded enthusiasts. The “User Guide” page provides more information on how things work and an instructional guide to using the Engage social networking tools as well as a short list of On2In2™ Engage community rules and requirements. 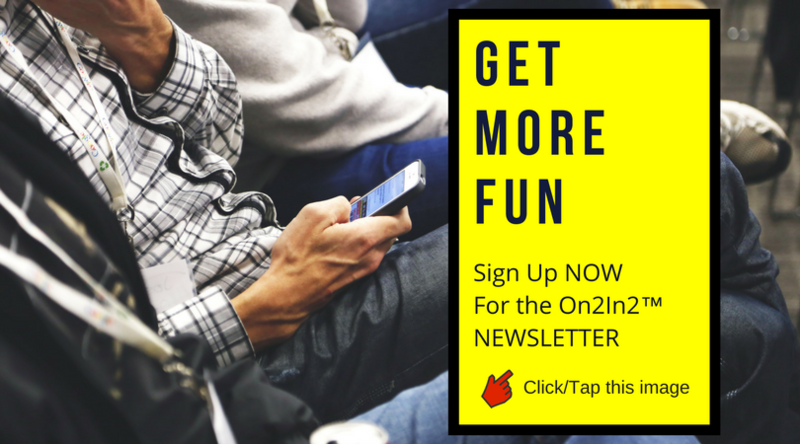 Take a look at On2In2™ Terms of Service for more specifics related to On2In2™ website policies.